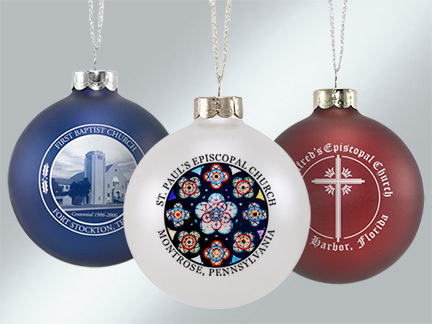 Custom glass ornaments (bulbs) are popular among customers looking for fundraising items, gift shop souvenirs, promotional items, family reunion keepsakes, and are often considered the perfect item to commemorate a church anniversary. 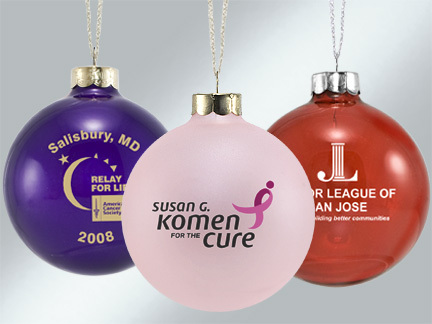 With a wide variety of bulb colors and imprint options available, our team can design multiple mockups that fit your vision and your budget. Want to see a FREE mockup of your design? 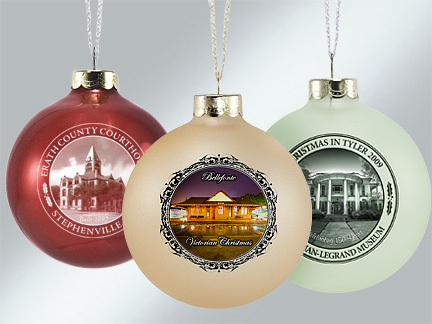 We’ll create a realistic virtual mockup using your artwork, at no cost to you. We just need a few days to work on it, and we’ll send it over with pricing info once it is complete. 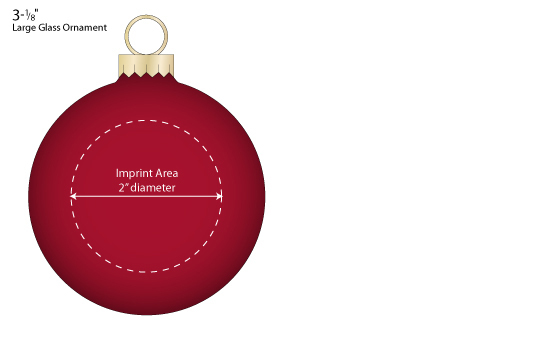 Our minimum quantity is 100 ornaments. 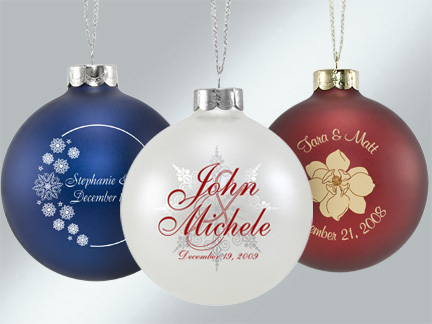 What is the pricing for custom glass ornaments? The price calculator below allows you to see pricing for various quantities and options. The first step is the design. We will prepare a mockup for you at no cost or obligation. To get started on that, simply fill out this form here: Glass Mockup Request Form. We’ll get to work on it, and you should have a mockup back within a few days at most! 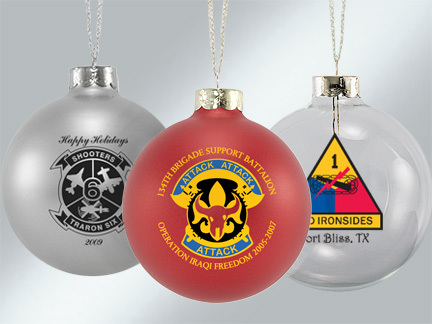 You can receive your ornaments in 1-2 weeks. If you need them more quickly than that just let us know. 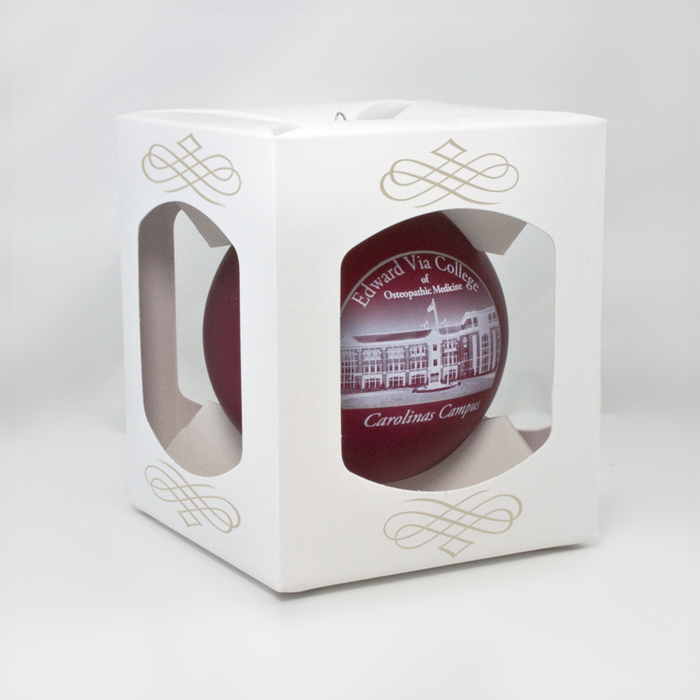 Each ornament is individually boxed. See photo below. 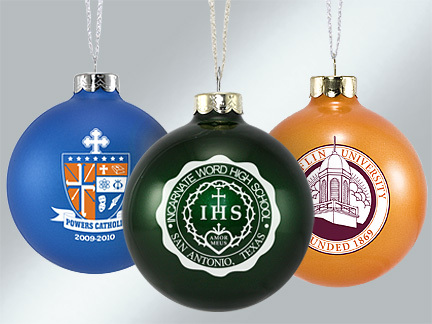 We have over 40 ornament colors, and hundreds of imprint colors. Click image below for details. The ornament cap is available in silver or gold. An acrylic ornament stand is available at a price of $1.82 each. 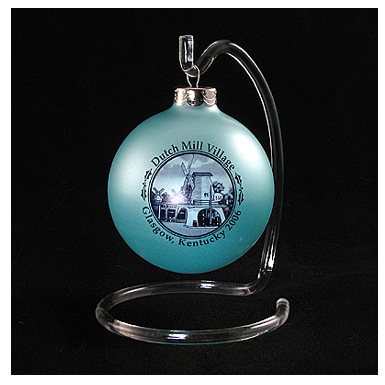 Our large glass ornament has a two-inch diameter imprint area.